Those that know about the game Myst probably know one of its sequels: Riven. Riven is now available on Android at the Google Play store for for US$3.99. Posted in Myst-Uru. Tagged Myst Android, Myst-Uru. Myst-Uru: What Takes So Long? 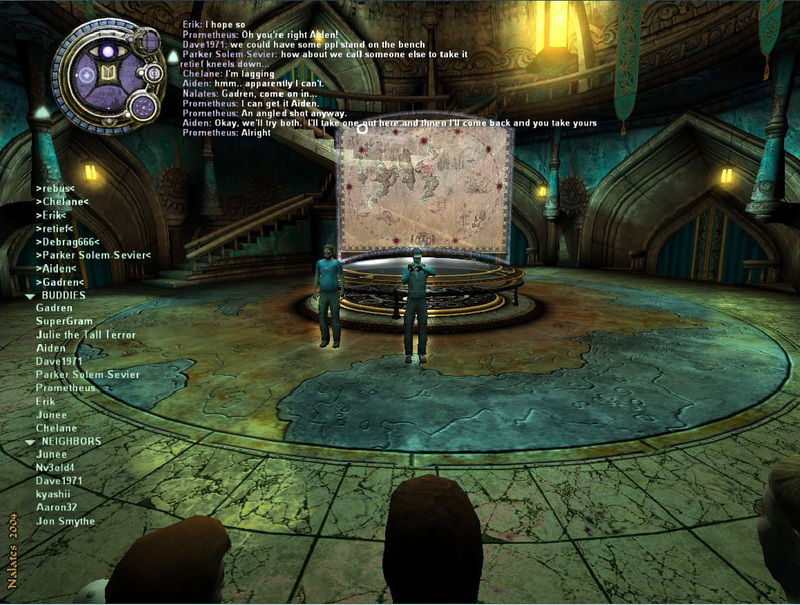 Myst-Uru or Myst Online:Uru Live again (MOULa) has been open source since about 2010. In the following 4-½ years we have seen little change as we wait for new fan made content to appear in-game. A lot of work has been done, but little of it is stuff fans can play with. Here I take a quick look at What is Taking So Long and compare that to what Myst-Uru fans are building in Second Life™. Posted in Myst-Uru, Second Life. Tagged Myst-Uru. You may know I am a Myst fan, the most popular game of the 1990’s. Recently news came that Hulu will be creating a TV series based on the game. That has been picked up by and is rippling through the gaming blogs. A list of the articles is here: Myst-Hulu Series. A good article touching on the history of Myst, outlining Hulu’s acquisition of story rights, and some of the people involved can be found at Deadline.com: Hulu Lands ‘Myst’ Drama From Legendary TV & Matt Tolmach Based On Video Game. Posted in Myst-Uru. Tagged Myst-Uru. I am a Myst fan and a fan of worlds like the Myst worlds created by Cyan Worlds, inc.
For several of my friends that know Thend, here is a link to his blog. Myst’s Riven in Lasting Love. While debatable whether Riven is the best game in the series many think it is. Varda has imitated parts of Riven in his quarter of the sim. When visiting try not to disturb the other residents. This Riven is a unique SL build with only similarities to the real games. As Varda says, ‘…a place inspired by the Myst PC games.’ Still any Myst series player will recognize the places on this island. The thing swimming in the lake under the pods is a Wahrk. They are said to be mam-eaters… So, swimming is NOT advised. Take a walk through the area. There is a path of sorts and it is more interesting to walk it than fly over. This build is new, just recently transferred here from a smaller parcel. This is still a work in progress. Several items in the previous build have not been added. I suspect they will be placed as time permits. Varda was talking about making the pods living spaces, in which case he might rent or lease them to Myst fans. Posted in Riven Myst Uru. Tagged Myst-Uru, Second Life Places. The Guild of Messengers (GoMe) runs a monthly photo contest for Uru fans. You can read about it in several places. There is a thread on GoMa here: Maintainers’ Myst-Uru Photos Thread. The ‘How To’ for participating can be found on the GoMe forum in PhotoQuest Remembered. The rules of the contest are here: PhotoQuest Remembered Rules. This contest is a continuation of the contest that ran in-game, thus the ‘remembered’. Without a live online game the CD/DVD based Myst games are being used. Posted in Myst-Uru, Second Life. Tagged Myst-Uru, photography, Second Life.